Shami claimed a career-best 6 for 56 in Australia's second innings. 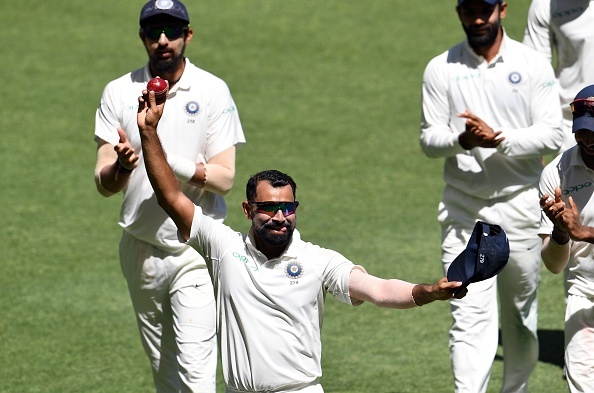 India speedster Mohammad Shami on Monday said that the visitors missed a trick by not playing a premier spinner in Perth where Australia offie Nathan Lyon has already bagged seven wickets. Chasing 287 in the fourth innings, India were reeling at 112 for 5 at stumps on Day 4 with Australia in the driver’s seat to make a fine comeback in the four-Test series. Earlier, India bowled out Australia for 243 in the second innings, courtesy an impressive six-wicket haul from Shami. Apart from Shami, Jasprit Bumrah clinched three wickets while Ishant Sharma picked up a wicket as well. "After such a long time we have an Indian pace attack where all the bowlers are fast and are bowling good lines and lengths. Four years ago we weren't even this experienced. You must have seen the difference in our accuracy from four years ago," he added. India lead the four-match series 1-0 having secured a 31-run victory in the opening Test at the Adelaide Oval. 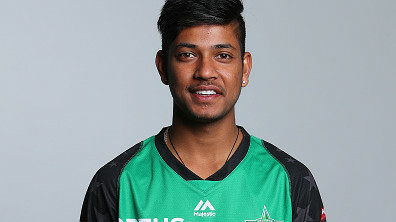 "It helps a lot to have a good bowler at the other end, who has the same mentality as you and is keeping things tight. This keeps the pressure up, and sometimes you don't even realise when the game turns your way. The bowler at the other end is sometimes just as important," Shami asserted. Talking about his career-best spell, the right-armer said: "I always try to bowl a good line and length. Rest is up to your luck, how many wickets you get or not. Your approach has to be good. 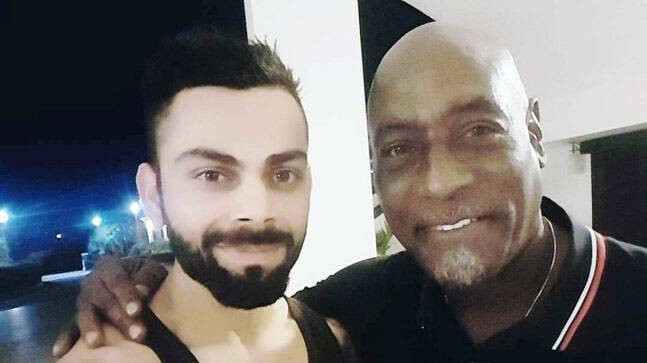 If you are playing Test cricket, you have to focus on your line and length. You will get the wickets automatically. "Sometimes when you have a long partnership, you have to wait, especially on a wicket like this where we were beating them again and again. It wasn't as if we were bowling bad balls, but even on bowling good lengths we were not getting wickets. 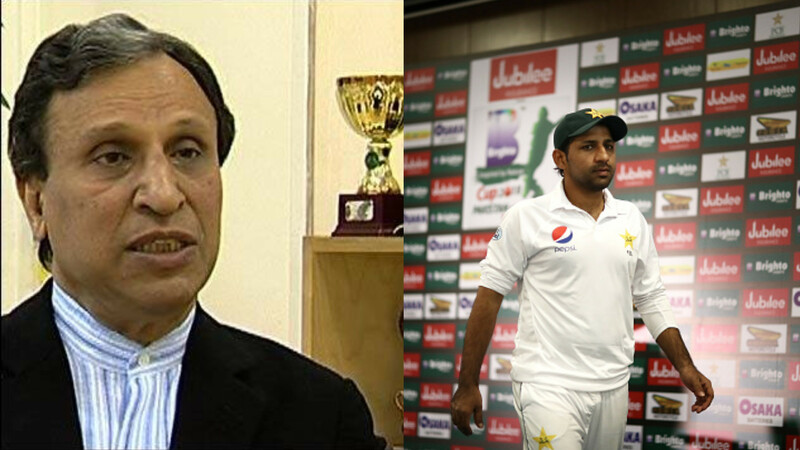 As soon as we got a wicket the momentum changed and we used it," he further remarked. Shami said winning or losing isn't important as the team competed well on a tough Perth wicket, which is proving very challenging to the batsmen of both sides. "It is part of the game. Winning and losing happens. We will just look forward. You can see first two days the wicket was very good. But third day it was going a little up and down, and there was uneven bounce as well. And the ball is keeping low at times as well. But it is like a normal Perth wicket and that's how it has played so far. It is in everybody's minds that on days 3 and 4 there will be some up and down and we are getting to see this so far," he stated. The talking point of the day was the verbal duel between skipper Tim Paine and Virat Kohli. Umpire Chris Gaffaney had to step in to separate the two. "We cannot say much about it. It is part of the game, but nothing too serious. When you play Test cricket it is a long match and you have a long time so a little bit aggression is there and sometimes you react on the moment. We don't need to mind these things too much. It is part of the game. If these things don't happen in the match then I think the match won't be interesting either. Maybe in that moment, things get heated up but it is not something to be made a big issue out of. According to me, we should leave this here,” Shami said. The saga continued even when Kohli was dismissed, with Paine sledging Vijay in Kohli's name. Shami said these things shouldn't be taken personally. "I have said earlier too that this is a part of the game and we don't take it personally. If there is no sledging, you won't enjoy the game and the public won't enjoy the game. If there is aggression, the match becomes more interesting. It is part of the game as it should be," he said, of the Paine comment. "What happens on the outside, what the opposition does, it doesn't affect us. We have to focus on our game and we have to improve our game. Not what step of ours is being watched and what is not," Shami concluded.